Detox smoothies are a delicious way to detox, and one of the best detox drinks to add to your daily routine. To detox the body you need to feed it foods that help it purge itself, while at the same time provide it with the vitamins and minerals it needs to function at its best. Berries are your friend when it comes to detoxing because of all the antioxidants and fiber they contain. They’re just the thing your body needs to replenish itself and to help purge toxins from its various systems. Blueberries are packed with them, and raspberries and blackberries also have a lot, so we’ll use all three here to make sure it’s a detox winner. Instructions: Blend everything together until you reach a smoothie consistency. The beauty of berries is their easy prep. Fresh berries need a rinse before going in, while frozen you just pop right in. When detoxing organic produce is always recommended. What’s the Deal with Antioxidants? Antioxidants are consistently linked with health benefits ranging from cancer prevention to heart disease prevention, to anti-inflammatory properties. It’s basically a name given to something we already inherently know: healthy foods are good for us! In this smoothie you’re getting a boatload of them, plus some healthy fat from the coconut milk for a satisfying smoothie. Kale is the new spinach, and as such you should make sure you’re eating some on a semi-regular basis. A smoothie makes a great vehicle for upping your kale intake, since the curly kind of kale can be a bit much to munch on. Instructions: If you use curly kale make sure you cut off the hard and stringy ribs that run down the middle of the leaf. Most blenders will have a tough time with these, and even if you use a professional grade blender it might still leave bits behind. We recommend baby kale, since you can just grab it and toss it in. You’ve probably heard of kale by now and seen it in stores, as it’s benefited from its fare share of popularity. But this is one trend that you can join in and keep up because kale is the real deal. Ginger root is great to keep around if you’re trying to detox, as we’ll see below. 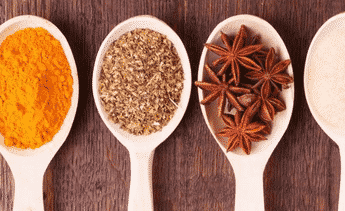 As far as flavor goes, ginger definitely wakes up the taste buds and provides a kick that can be quite refreshing. Combining it with cinnamon gives it additional anti-inflammatory benefits, and really kicks up the spiciness of this smoothie. Not hot spiciness like a pepper, but a spice that will be felt nonetheless. Instructions: The more you mince the ginger before adding it in, the less bits you’ll have to crunch on once it’s all blended up. Ginger has a cleansing effect on the digestive system, helping to ease bloating and gas, and breaking up congestion throughout the body. It’s been used throughout the ages as a treatment for different disorders, and makes a great addition to your detoxing efforts. You can use chocolate as part of your detox routine, as long as it’s the right kind. This smoothie tastes like chocolate covered strawberries, sweet and chocolatey with digestive enzymes from the honey, no refined sugar, and antioxidants from the chocolate and strawberries. Instructions: Blend everything together until frothy and smooth. Dark cocoa is going to contain antioxidants that regular cocoa doesn’t have. It’s also going to be sugar free if you go with a high quality option. The caffeine content will vary by manufacturer, but it is a small enough amount to only affect those very sensitive to caffeine. This smoothie is straight out of a Sesame Street episode because we’re just going to focus on green things. Open your fridge and pull out anything green, chances are it’s a healthy vegetable option. You can also pick these up from the store the next time you’re out if you want to follow along perfectly. Instructions: Blend everything together in your blender. If you’re using organic cucumber (recommended) you can leave the peels on for added nutritional value. Green smoothies are all the rage, even the Mayo Clinic is getting into it, and it’s easy to see the appeal. You get all of the fruit flavor of a smoothie, plus all of the vitamins and minerals from vegetables. Organic produce is the way to go when making a green smoothie, since you don’t want herbicides and pesticides to impede your detox progress. 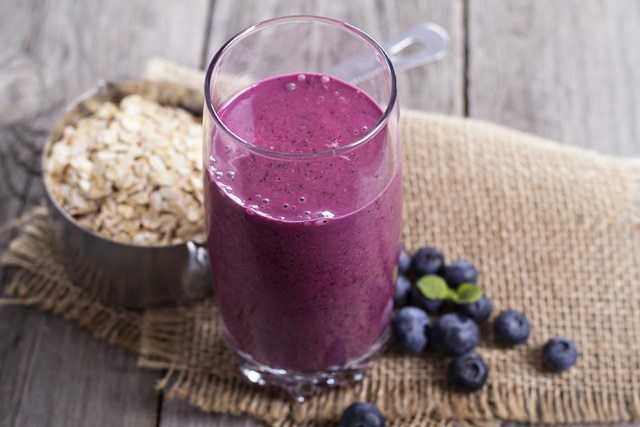 This is a morning smoothie that is sure to get you revved up and ready to face the day. It’s loaded with foods that will have a detoxifying effect on your body as well. It’s recommended to use this as a morning meal replacement for maximum detox benefits. It provides protein and carbs so you’ll have a balanced meal before heading out the door. Instructions: This is a smoothie that you can use a shaker bottle for if you don’t want to fire up the blender. The ones with the metal ball inside do a great job of breaking up the protein powder and intermixing all of the ingredients. The morning is a great time to think about detoxing, because the body follows a natural cycle, and your liver and digestive system have been working while you sleep to filter out the good from the bad. 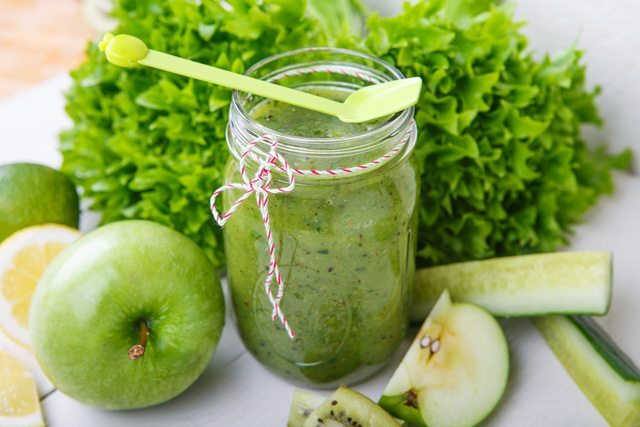 By giving yourself a freshly prepared detox smoothie first thing in the morning you are helping that process along, rather than setting it back with a large or unhealthy breakfast. to do both at once. The protein powder in this will help you develop lean muscle, and also help you make it through to lunch. The green tea provides antioxidants and a bit of caffeine to give you some energy when you’re running low. Instructions: You can use frozen peaches here because they’re much easier to use and you don’t have to worry if they’re ripe or not. 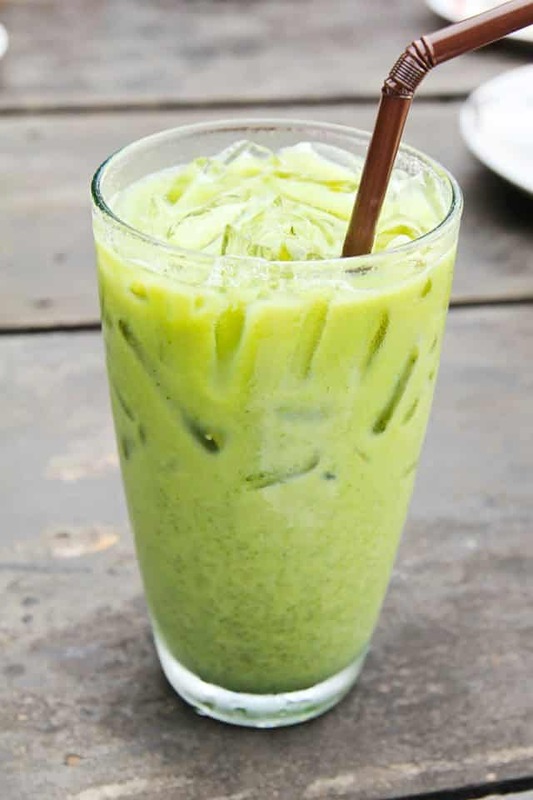 It’s best to let the green tea cool down completely before making your smoothie. You’ll likely lose some weight when you detox, and if you’re trying to lose weight it’s recommended to detox first in order to give yourself the best chance of success. Your body will be able to absorb nutrients from the foods you eat better, and you’ll be able to draw a distinction between your old ways and your new ways with a Before Detox and After Detox separation. This is basically a “kitchen sink” smoothie where you’re going to add in whatever you have on hand that is a detox food. 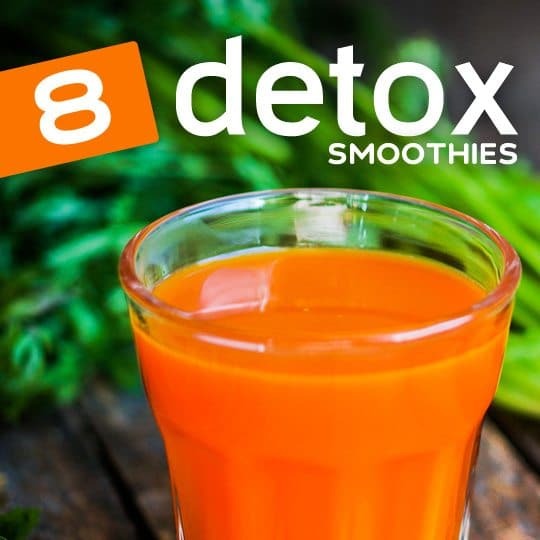 Some of the best detox foods don’t really work well in a smoothie, but you can go with fruits and vegetables, because most of them will contain vitamins and minerals that will support a healthy lifestyle. Instructions: Chop everything up into manageable pieces and place into the blender. Puree until nice and smooth. If the idea of detoxing leaves a bad taste in your mouth, it’s time to try one of these shakes to try to prove to yourself that it doesn’t have to taste bad. Taking matters into your own hands and making your own smoothies from scratch gives you quality control and allows you to only use ingredients you think are delicious. Don’t add an ingredient if you don’t like it just because of its detoxifying properties, because you won’t stick with it. Almond milk is what I use. I started using the program on www(dot)SmoothieDetox(dot)info and I have never looked or felt so good! I lost 10 pounds within the first month because the smoothies help me burn extra calories and stay physically fit!! By drinking this smoothie first thing in the morning, the ingredients supercharge my metabolic rate. They are loaded with nutrients that will have a detoxifying effect on a person’s body and help people erase off fat burning hormones. Smoothie Detox has made me feel so great about myself! After losing 25 pounds with this program, I’m a healthy weight once again! What was ur favorite ? I started using the program on http://www.SmoothieDetox.info and I have never looked or felt so good! I lost 10 pounds within the first month because the smoothies help me burn extra calories and stay physically fit!! By drinking this smoothie first thing in the morning, the ingredients supercharge my metabolic rate. They are loaded with nutrients that will have a detoxifying effect on a person’s body and help people erase off fat burning hormones. Smoothie Detox has made me feel so great about myself! After losing 25 pounds with this program, I’m a healthy weight once again! How long and how many times a day do I have to take these smoothies to make the detox effective? My sons liver enemzies are high what is the best detox smoothie for your liver. I’m going to be trying some of these for my cleanse. I prefer smoothies over juicing. Can I make these the day before and refrigerate them? or do they need to be drank immediately after making them? I am wondering the same thing. I have to be to work early in the morning and would not have time to prepare a smoothie beforehand so it would be best if I could prepare it ahead of time. Any suggestions?? I am confused since I’m no native speaker. when you talk about purified water you mean the destilled water i use for my iron to iron my clothes? or how do you make it / where you buy it? Purified (filtered) water comes in the plastic water bottles you can buy at the store. It is filtered. How many calories does the slim down detox smoothie has?? Hi Kimberly, if you have more to spend, we highly recommend either Blendtec and Vitamix brands. If you’re on a budget, Nutri Ninja and Nutribullet brands are excellent options, with the Nutri Ninja having a slight edge on quality in our opinion. How do u prepare the kale and apple one? Can you PLEASE tell me if I can use almond milk, and still detox my body? i seem to have a problem coconut milk is there anything as good thank you if you can help me. Hi how much honey do i use on the chocolate smoorgie as you said about the digestive enzymes in ut but have not added it to the ingredients list? Hi how much honey do i use on the chocolate smoothie as you said about the digestive enzymes in ut but have not added it to the ingredients list? How much honey should I use in cocoa bliss? Why would a true cleanse not have almond milk in it? I have a nut allergy and can not use the coconut water or almond water. What other type of water can I use? Have you ever tried 100 Aloe Vera juice? Trader Joe’s sells a huge jug for under 6-7 bucks. Hi, I am just wondering where I would find coconut milk in the grocery store? On this plan, do we eat anything else? One thing I like to do with the green smoothies is use the same recipe, add a pinch if black pepper (assists in absorbing the nutrients in digestion), heat it slightly and eat like a soup. Hi thank you for all the detox smoothie recipes. How many smoothies for a day? I am new to the smoothie thing and want to try these but I am wondering do I need ice also to make these smoothies? How Does “Red Smoothie Detox Factor” Actually Cause Weight Loss? ??? ?Ingredients List Days 1-5 ???? ???????????? Ingredients List Days 6-9 ???????????? Is Soy Protein Powder bad for you? Hi Cathy Jordan, check out this link: http://bembu.com/liver-detox/. You’ll get all the tips I give to my patients. Cheers! 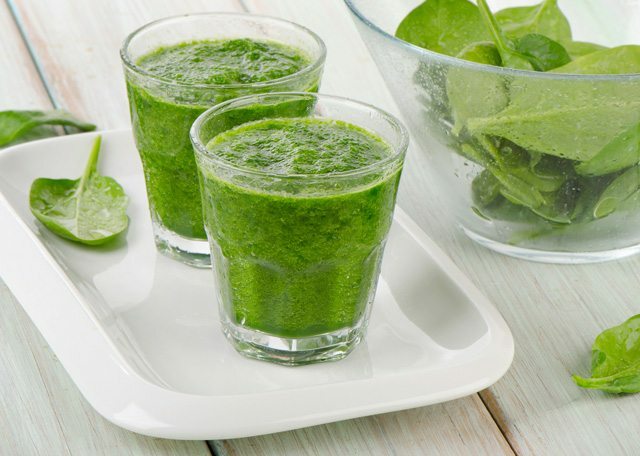 8 Super Food Detox Smoothies that will Boost the Loss of Toxins.